Thoroughly revised with new co-author Andrew Dell Antonio, The Enjoyment of Music: Essential Listening Edition offers instructors the flexibility to teach their course thematically or historically, and helps students acquire a lifelong interest in music. And with Total Access, all the music and media resources students need are automatically included with every new copy of the text." - An interactive ebook, the complete Workbook/Lab Manual, grammar tutorials, and all the audio and video materials.- LearnSmart, the only super-adaptive learning tool on the market, is proven to significantly enhance students' learning and improve course outcomes.- A comprehensive gradebook to view your assignment results.- Voice Board and Blackboard IM, integrated into McGraw-Hill Connect(R), promotes communication and collaboration outside the classroom.- The option to purchase (for a small fee) a print version of the book. This binder-ready, loose-leaf version includes free shipping. 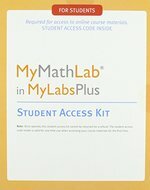 McGraw-Hill Connect(R) does not come automatically with the purchase of the textbook. Get workplace-ready with SAM 2013, the market-leading proficiency-based assessment and training solution for Microsoft Office 2013! SAM's active, hands-on environment helps you master Microsoft Office skills and computer concepts that are essential to academic and career success! Through skill-based assessments, interactive trainings, business-centric projects, and comprehensive remediation, SAM 2013 engages you in mastering the latest Microsoft Office programs at your own pace. Computer concepts labs supplement instruction of important technology-related topics and issues through engaging simulations and interactive, auto-graded assessments. SAM is your one-stop-shop for everything you need to become tech savvy.